Thanks to Brigitte Herron for writing and submitting this recap! After her family is slaughtered and her brother is taken captive by The Martial Empire (an empire largely inspired by the roman one), Laia makes a deal with the resistance: they rescue her brother from prison while she goes undercover at Blackcliff Military Academy in order to gather information for them on The Trials. While pretending the be the Commandant’s slave she meets Elias Veturius, the Commandant’s son. Elias, whose sole desire is to escape the life chosen for him as the Empire’s assassin, find himself participating in The Trials because an Augur promised him that was the only way he could truly be free. As the story progresses, Laia and Elias grow closer while uncovering some pretty shady business on both the resistance’s side as well as the Commandant’s, up until the Trials end, the current emperor is killed, the new one is chosen and the two are forced to flee as fugitives. Elias is getting ready to desert Blackcliff once he graduates but an Augur warns him against it and promises true freedom if he stays at the Academy. During the first Trial, Elias has to come to terms with his greatest fear: turning into a ruthless assassin. However Marcus and Zak corner him and Helene, she’s hurt and he has to get both of them to the finish line or face execution for failing the task. Elias helps Laia after she keels over from her infected wound, but she keeps reminding herself not to trust him. While she’s being nursed back to health, Cook, a slave in charge of cooking, tells her about being in the resistance, being found out and what the Commandant did to her. During the second Trial, the Aspirants come face to face with supernatural beings, which were considered myths. Elias is hit and Helene heals him by singing to him. While he’s recovering she tries to make a move but he rejects her. Laia is charged with being the messenger between the Commandant and a Telluman swordsmith, and she finds out he’s the reason her brother was captured as Darin was his apprentice and was helping him make blades to fight against the Empire. The Commandant has allied herself with The Nightbringer, the leader of the Efrits, and they are plotting against everyone to rule the Empire through the Aspirant they have chosen to back. In order to meet with the resistance, Laia, along with Izzi, a slave who’s in charge of cleaning the kitchen, sneak out to attend a festival while Elias follows them. Once there, Laia meets with Keenan to pass on the information, before dancing with Elias. When the resistance gives Laia an utlimatum: find a way to get us into Blackcliff or we won’t be able to save your brother, she and Izzi find a secret tunnel but Laia is caught by Marcus. Elias find her just in time but he can’t do anything to save her, instead he asks Helene to heal her, which she does rather reluctantly. During the third Trial Elias’s and Helene’s platoons fight against each other until one of the two leaders bests the other. Elias manages to corner Helene and is declared the victor. His ‘prize’ is a night with Laia, during which some backstory is exposed, they kiss, and Laia discovers a new way to get the resistance into Blackcliff. During the fourth Trial, the Aspirants are asked to kill Laia, the Emperor is attacked and killed by the resistance, and Elias commits mutiny while trying to protect Laia. His act of rebellion gets him a death sentence, Helene the title of Blood Shrike, and Marcus the title of Emperor. The resistance betrays Laia so she finds a way to save her brother herself: she frees Elias and they flee. During the Third Trial, the Commandant receives news that the resistance has attacked the Emperor and killed him. Meanwhil Elias refuses to execute Laia and he even tries to protect her but to no avail. His insubordination is punished and he is sentenced to death while Helene pledges herself as Blood Shrike to the new Emperor, Marcus. Unbeknownst to them, Laia is still alive thanks to the Augurs and sets off to meet with the resistance in order to grant them passage to save her brother, but the leader betrays her so she takes matters into her own hands and enlists the help of Cook and Izzi to free Elias and use his knowledge and skill set to free Darin. I just started reading A Torch Against the Night today, but I was so confused. 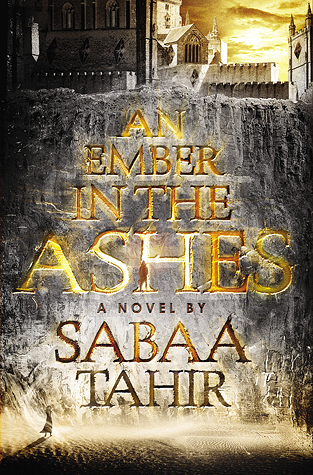 Then, I considered rereading the first book to understand A Torch Against the Night better, but chose to look for recaps of An Ember in the Ashes instead. Other peoples’ recaps left me even more confused. Thanks for the chapter-by-chapter recaps! So ready to read the second book now! Thank you so much for this recap, it really helped me!